As you all know I live a dairy free life due to an allergy. Well, in the past few months we found out that I am also allergic to wheat and gluten. This means I really am not The Dairy-Free Diva anymore but instead The Dairy & Wheat Free Diva. Should I change the name of my blog (this wouldn't change the address of my blog)? Should I start a new blog with a new name? 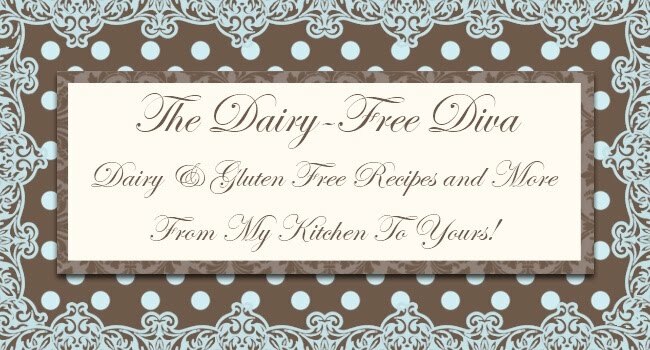 Should I just leave things be name wise and blog dairy and wheat free? Comments, suggestions, and the like are appreciated on this issue! I do apologize for not blogging on a regular basis. Health issues and a lot of life turmoil have been plaguing me this summer. I am still cooking and altering recipes to work for me and my food issues though! So be ready for me to hit you with those when I can get back to things full time! Nah, don't change the name. Just glad you are back--we missed you! Hey there so happy to hear from you. Hope your health is getting better and the turmoil is now over. I have had my fair share of turmoil this summer too, you are not alone in that. Things always seem to work out.